For most styles of food, there are people who love it, people who hate it and people who think it’s just alright. Chinese food does not usually leave room for this moderate middle category. I find that people either love or hate Chinese food. There are some exceptions, but these cases are few and far between. Chinese food is one of my favorite kinds of food, and when I moved to SNU, I discovered that there are not a huge number of Chinese restaurants in the Bethany area. Turns out that I had been driving past a great place on MacArthur the whole time. Tai Pei is a small restaurant that is easy to miss. However, they serve some great food there. I went with Anthony Tolbert, who is also a huge fan of Chinese food. It was around 4:00 pm when we ate, so there were very few people there. Like I mentioned before, the restaurant is small, so someone who does not like to eat with a close group of strangers may not enjoy Tai Pei that much. Their service, on the other hand, is quite good. The small room makes it easier for them to serve their guests. Rather than having to walk back and forth from the kitchen to the table, everything is close so servers are able to keep track of drinks and such. Anthony and I are both music majors, so we instantly noticed the classical music that was being played. This detail made the environment welcoming and relaxing. Both Anthony and I ordered Combination Dinner #1. For seven dollars, we received garlic chicken, sweet and sour shrimp, chicken chow mein, sweet and sour pork, an egg roll, soup and fried rice. Anthony kept telling me how he was starving, and that he was skeptical that this was a lot of food. However, he was soon put to rest when our entrées arrived. Apart form the egg roll and soup, the rest of the meal is served on two plates. At less than ten bucks, this was an amazing deal. Neither of us were able to finish, so our waitress gladly gave us to-go boxes. We easily had enough left for a second meal. Again I say, this was a lot of food! It certainly tasted wonderful as well. Do not be fooled, a lot of food does not mean that the quality is poor. After our visit, I was certainly comforted that there is a great Chinese restaurant in Bethany. 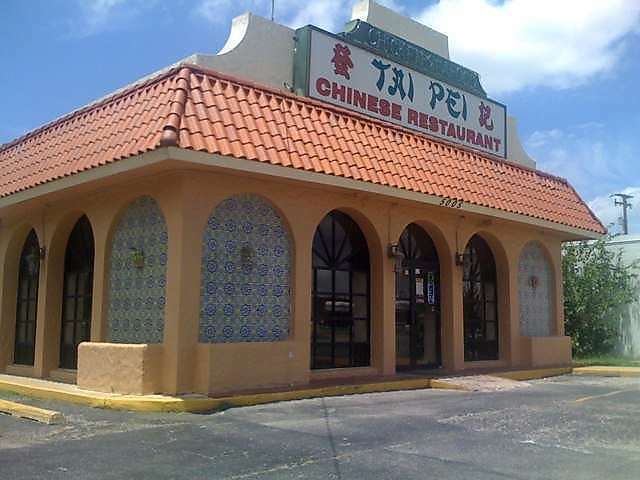 It is not a “date quality” restaurant, but if someone wanted to eat a good meal off-campus and they had limited wallet space, I would certainly recommend Tai Pei. It is located at 5005 N MacArthur Blvd, and it is very easy to miss. The food was great, as well as the service. Tai Pei is definitely on my list of places to visit again.